The conference included multiple talks from notable professionals in the Cyber Security field such as Mona Bates, CIO and VP of Information Technology for Raytheon Integrated Defense Systems and Eman El–Sheikh, Director of the Center for Cybersecurity and Professor of Computer Science at the University of West Florida. The conference also held a career fair and resume review to further assist college women in applying for cybersecurity positions. 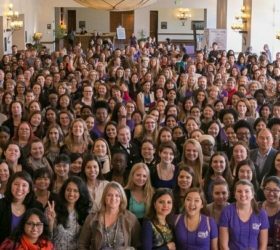 WiCyS emphasizes the under-representation problem in the computer science industry for women and notes that research has proven that a diverse workforce always out-performs a homogeneous workforce. Dr. Ashley Podhradsky from Dakota State University starting a digital forensics exercise with some of her students. The organization firmly believes in assisting fellow women to thrive in Cyber Security. The idea was to make the companies and organizations more approachable for women who were eager to excel in Cyber Security. 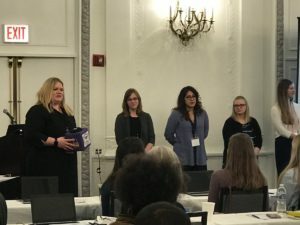 Visit https://www.wicys.net/, https://twitter.com/cybher_security?ref_src=twsrc%5Etfw&ref_url=https%3A%2F%2Fwww.cybher.org%2F for more information on the convention and CybHER Security Club.